China's crackdown on corporate malpractice continues, and this time Qualcomm is in the firing line. Beijing's National Development and Reform Commission has launched an antitrust investigation into Qualcomm, the company said in a brief statement. 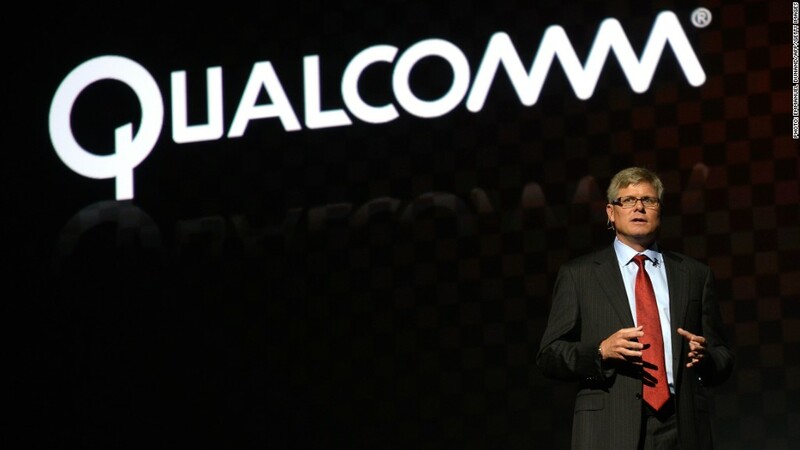 Qualcomm (QCOM) said the Chinese government agency had not revealed the substance of the investigation. The company wasn't aware of any charge that it had broken anti-monopoly laws, it added. The Chinese government is waging a campaign against market abuse and corruption, which has led to greater scrutiny of corporate practices that affect the prices consumers pay. Qualcomm is the latest foreign company to be netted in the crackdown. Last month, state media fingered Starbucks for charging too much for coffee. In August, the government levied a $108 million fine against six dairy companies including Danone (DANOY) and Mead Johnson (MJN) for unfairly fixing the price infant formula products. And earlier this year, several foreign drugmakers, including GlaxoSmithKline, (GLAXF)were placed under investigation over bribery allegations. Qualcomm, which makes chips for smartphones and tablets, is keen to expand in China, especially as the country prepares to adopt the next generation of high speed technology for mobile networks, known as long-term evolution. "Looking forward, we expect continued strong growth of 3G and 3G/4G multimode devices around the world, particularly in China with the anticipated launch of LTE," Qualcomm CEO Paul Jacobs said earlier this month.